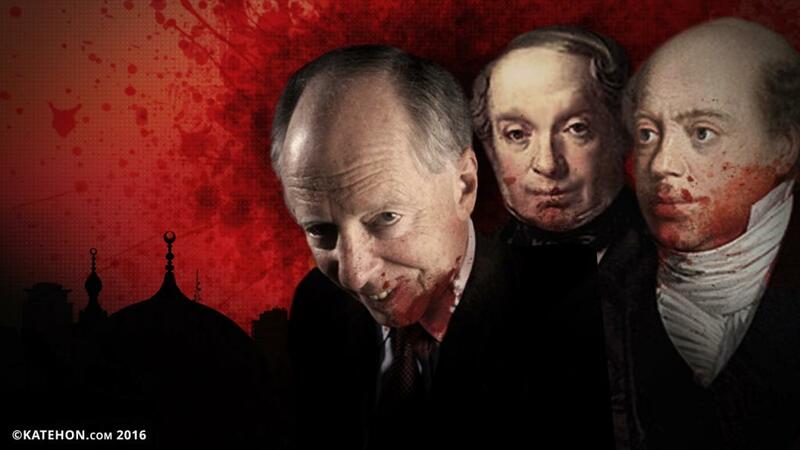 Back to the past, in 2005 Forbes magazine ranked Mayer Amschel Rothschild, the original godfather of this criminal family back in the 18th and early 19th century, as number seven in its list of "The 20 Most Influential Businessmen of All Time“. Incidentally, Mayer Amschel Rothschild is referred to as the "founding father of international finance”. From the gecko, they aimed to destroy Western Christianity (Catholicism and later on Protestantism) which unfortunately to a great extend they succeeded. They infiltrated the very Catholic Church in the 15th and 16th centuries during the Italian Renaissance vis-à-vis the Borgia popes who were Spanish Maranos in heritage. Anyway, why are the Rothschilds obsessed with their ominous control and conquest of big chucks of the Middle East? The answer is very cryptic and mysterious which I may greatly elaborate in future articles. In brief, in order to directly control and spiritually abuse the powerful and esoteric energy vortexes of these very ancient and magical lands. And their trump card if their hegemony is ever challenged or threatened? The so-called “Samson Option”, Israel's deterrence strategy of massive retaliation with nuclear weapons against any country whose military may defensively attack Israel. These are but just a few exoteric examples of the wicked strategies of the Rothschilds and other so-called “elite” powerful families who are numbered to be 13 who rule the earth today with a clear satanic agenda for those who have the eyes to see and the ears to listen.